Island in the province of Olbia-Tempio, located off the Costa Smeralda, which covers an area of 3 square kilometers and is almost completely uninhabited. 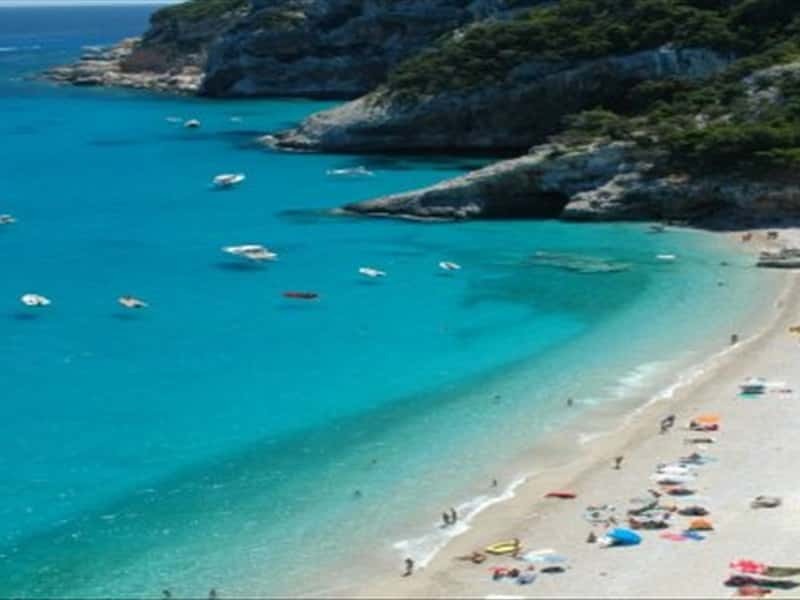 Halfway between Palau and La Maddalena, it is a popular touristic destination, due to the presence of well equipped beach establishment in Cala Fumata and a small tourist resort. Santo Stefano is part of the Maddalena Archipelago, composed of about sixty islands and islets, characterized by beautiful nature and flora and fauna, still uncontaminated. It has been well preserved thanks to the daily life difficulties and because, since 1996, the archipelago of the Maddalena is a National Park. Santo Stefano is the only island on which were traces of prehistoric settlements dating from 2500-2000 B.C. have been found. Certainly colonized in the Roman period, the whole area gained importance, due to their location, on the route followed by ships bound for Marseilles and Porto Torres. In these ages, the islands were already documented by Pliny the Elder, who called them "Insulae cunicularia. During the Middle Ages, after several pirate raids, the islands remained uninhabited. Only in the XVI century, the area was repopulated when shepherd families, originally from Corsica , settled here. Domain of the Savoy, it was attacked in 1793 by French troops, who were defeated by the determination of the local inhabitants. This town web page has been visited 15,600 times.